You and Your Home Can Look like a Million Bucks. With all of the available options out there to buy quality clothing and furniture, there is no reason to pay top dollar anymore! You can shop department stores, outlets, websites, consignment shops and much much more. Here at Twila's Treasures, you can find simple and elegant always to improve your looks and decor without breaking the bank! Top Ten things to do in Twinsburg! Twila’s Treasures Consignment Shop is the largest consignment store in the area. We are located on the north side of the Twinsburg Square in the historic Richner’s Hardware store. Come browse our two expansive floors of treasures for yourself and your home. Upstairs you will find current, trendy women's fashions at a fraction of the retail cost. 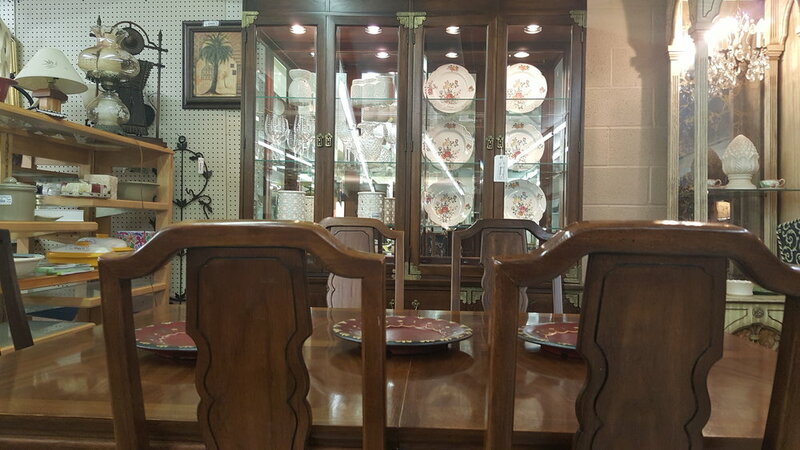 While on our lower level you will find beautiful home decor and furniture. There is always something new coming in the door. Don't miss out! Consignors Have It Easy Working Our 24/7 Program. Click here www.myresaleweb.com to see if you have a balance on your account. Twila's is always accepting applications from energetic, customer friendly, team oriented people. Click below to see application.